The Amish Jefferson Dining Chair offers a refined and stately design for your dining room furniture collection. 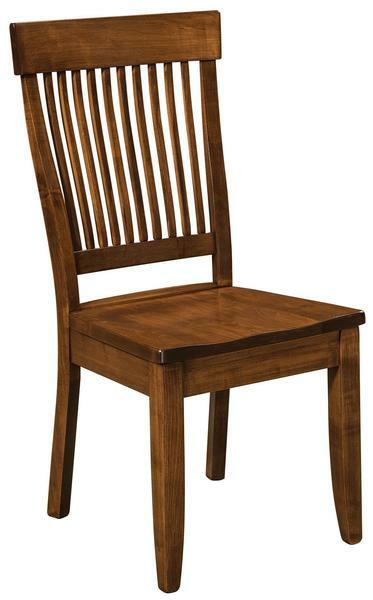 With tapered legs and slim chair back slats, this dining chair wraps you in comfort on every occasion. Whether its a daily meal, a birthday dinner or a business meeting held in your home, these are chairs that are crafted to offer the support and durability you are looking for. The Jefferson provides versatile seating for anything from casual to formal and everything in between. Put your signature on these dining chairs with customizations that truly make them your own.